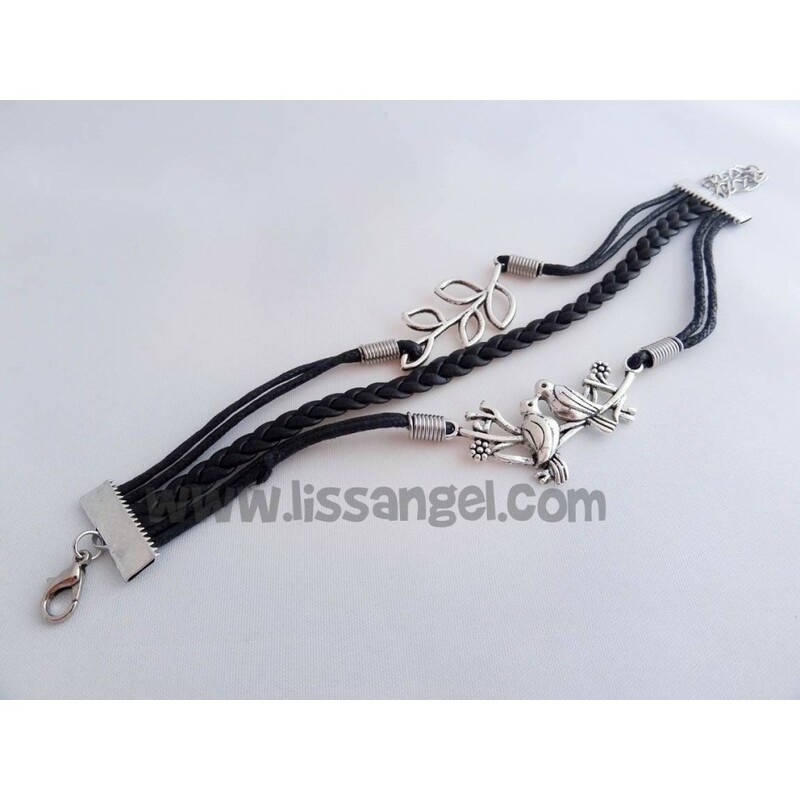 Bracelet made of strips of synthetic black leather with two metal details, one shaped branch and the other with two pretty birds giving a kiss. 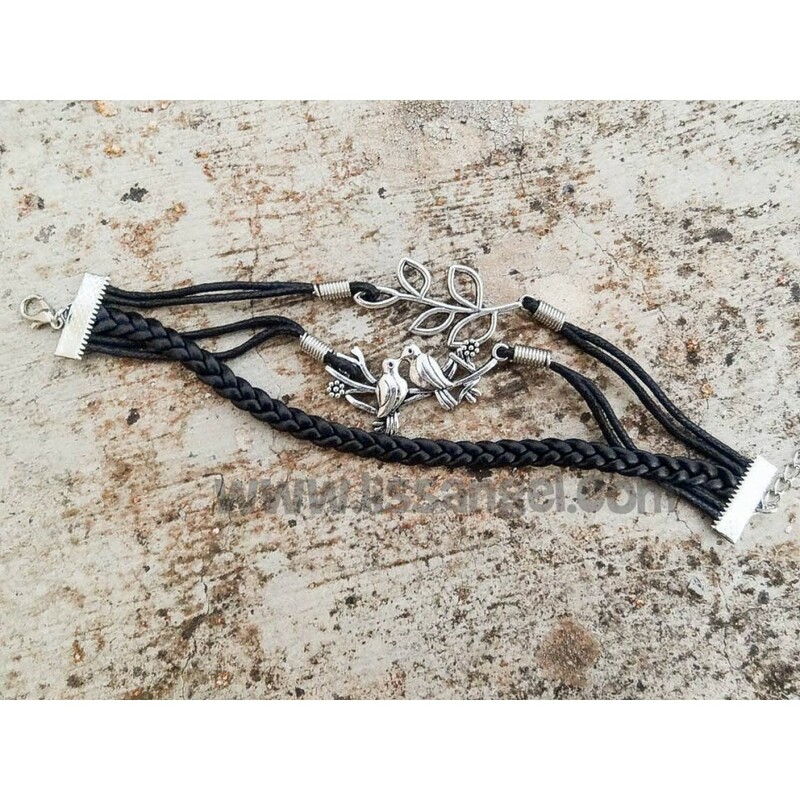 The bracelet has a length of approximately 16cm. 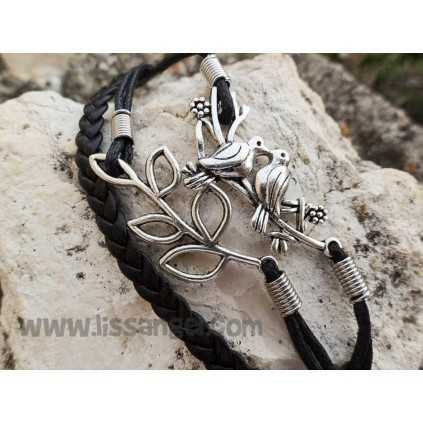 With this economic bracelet, you can wear a beautiful butterfly on your wrist. Made of glossy rope, it has several circular metal beads, and a large and detailed carved metal butterfly just in the center. Original and striking bracelet made of interlaced silvered metal chain, with an owl in the center full of brilliants and whose eyes are two black stones. Discreet and economical, but nice bracelet, made by a silver owl embedded with bright, hooked to a blue elastic. The elastic is adjustable to fit the diameter of your wrist. 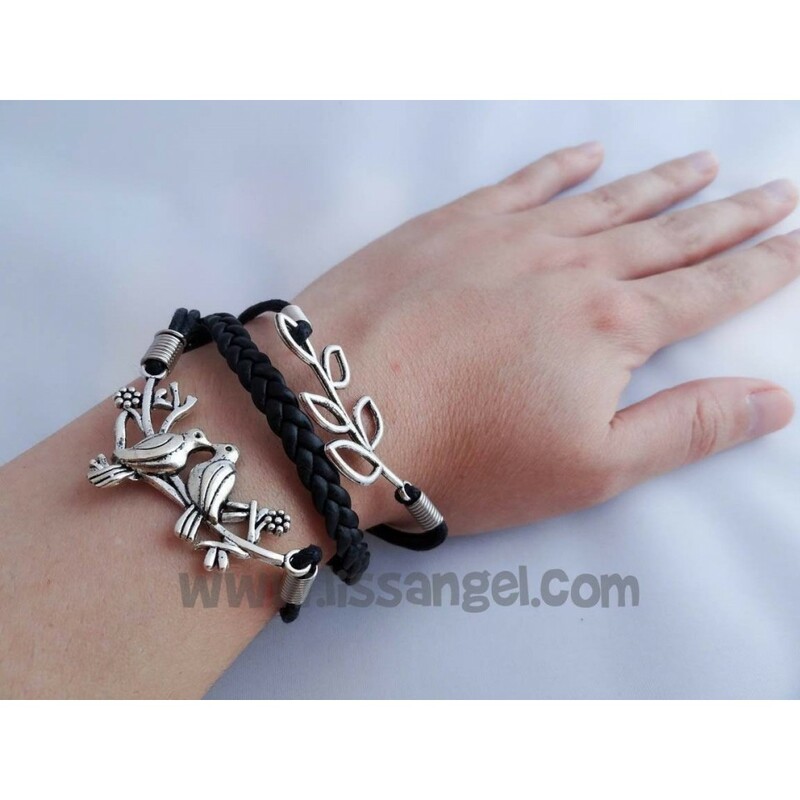 Elegant silvered bracelet made of metal alloy, composed of three detailed fishes with bright embedded. Among the three fishes, there are two large bright. Decorate your wrist with owls, original bracelet to roll around your wrist with nice owl decoration.